Product categories of BBQ Tools Set, we are specialized manufacturers from China, Bbq Tools Set, Barbecue Utensils Set suppliers/factory, wholesale high-quality products of Bbq Utensils Set R & D and manufacturing, we have the perfect after-sales service and technical support. Look forward to your cooperation! 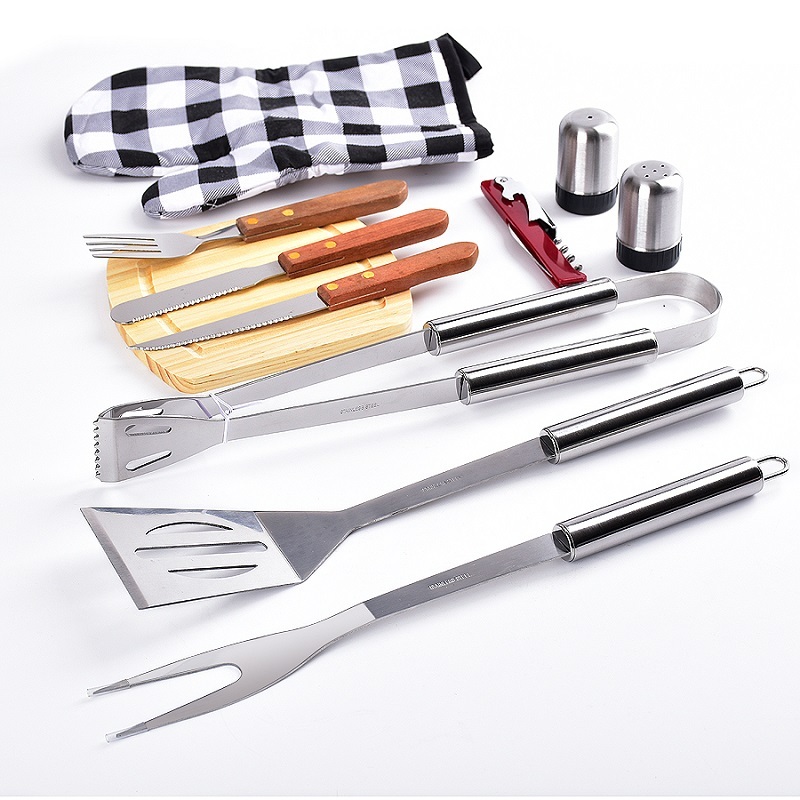 The customers could have all the cooking tools you need in one set, items including: Barbecue apron, Barbecue gloves, Barbecue tongs, fork, spatula and castor shaker. They could bring the convenient package directly to the Barbecue works. The OEM sets have well established great markets online and offline these years. More and more people loves to use these tools for their delicious food.